Shopping online and off is a luxury and it’s fun; billions of dollars are spent each year on items we do and don’t need. Items that make us happy or items that make us happy for a couple weeks. And sometimes, we end up regretting how much money was spent on our shopping spree. Thankfully though, there are apps that can put the money back into your wallet and make you feel a little less guilty about those headphones or new shoes you just bought. 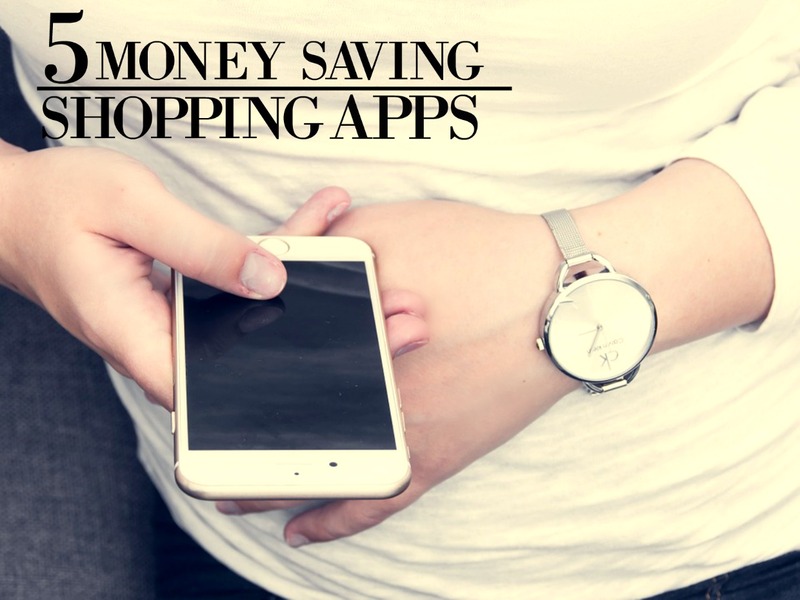 Check out the first post in this Money Saving App Series, 5 Amazing Money Saving Apps for Groceries! How it Works: Now this app is one of my favorites when it comes to getting rewards. All you have to do is take a quick picture of your receipt (or an e-receipt) and they’ll give you points (100 for every 4 receipts you get), and they can be from anything, not just from shopping. So take those receipts from the clothing stores, the grocers, the gas station, and even fast food restaurants, and within a month or two, you can start earning awesome rewards, like Amazon gift cards or even gift cards (I’ve heard around $50) to restaurants (no actual cash sadly, but it will help you save money in other areas of life so you can make sure you’re on budget and make use of all your expenditures). Receipt Pal works for those who have iOS and Android. You can get the Receipt Pal App here. How it Works: Shopkick is an awesome app that offers you kicks (their own name for reward points) for just walking into a store you’re going to shop at (turn on your Bluetooth in settings and enable location services on your device, open the app at the store entrance and get your Kicks pints), kicks for scanning items at the store, Kicks for credit card purchases, Kicks for receipts, and Kicks for inviting friends. Then you can turn in those Kicks for gift cards to your favorite stores. Again, it won’t be actual cash, but if you’re already making purchases and going to stores you need to go to anyways, it’s great for saving you money in the future. This app works for those who have iOS and Android. You can get the Shopkick app here. Join my EXCLUSIVE email list for money saving and making hacks! Here I'll give you some of the best tips and hacks I have for making and saving money. So whether you want to increase your income, get out of debt, or just some simple saving tips, I've got you covered! How it Works: Having this app is basically like having thousands of coupons to your favorite stores like Target, Sephora, J Crew, Gloomingdale’s, Footlocker, Forever 21, or Kohl’s (basically anything you can think of) right in your pocket or purse. You can save any coupons you want and they’ll notify you when they’re expiring. No printing, just show your phone (with the coupon open on the app) at the register and the cashier will do the work for you. Lastly, you can look for deals at the nearest stores so you don’t miss an opportunity to cut down costs. No more cutting coupons or hoping that the “deal” they have shown is actually a deal. This app is available for those who have iOS and Android. You can get RetailMeNot here. How it Works: Plan on shopping online? Good. This is an app that allows you to shop at stores through Ebates and get a percentage back from any purchases you make online (they also have Ebates promotions, so that will give you more money back). Then every three months, once you’ve gone over $5.01 in your Ebates account, they’ll send you your payment. Sounds like a great deal, especially around Christmas time. The Ebates app works for those who have iOS and Android. You can sign up for Ebates here. How it Works: Now I really like this app. It’s a bit like RetailMeNot, in that it has many coupons for you to choose from and save (and you can see the ones friends have saved), but it also allows you to take a picture of an item at a store and it will identify the product and find the best coupon for you to use. No need to search yourself! Just show the cashier with the picture of the coupon open on the app, they’ll scan your phone, and it’s done. You just saved money on your purchase! SnipSnap works for those who have iOS. You can get SnipSnap here. There’s an app for everything, and the creators of apps just love making things convenient for us. Especially when it comes to saving money and gaining rewards for the shopping we do. Now we can feel a little less guilty when we go shopping for our home, birthdays, Christmas, or just for fun. I hope these apps provide value to your life and shopping experience, and if you have any apps that you like that help you save money when shopping, email me or let me know in the comments below! I might just add your input into future posts! Silas and Grace always had a passion for travel. So in 2016, they started Chasing Foxes to build a independent income source. Then, 4 month after launch, they were making enough money from their blog to travel full-time. And in the past two years, they’ve been able to help others out in their own blogging journey to go after their passions as well. Running Chasing Foxes, traveling, and helping people out with their ability to make money from home (or anywhere) is something they plan on doing for years to come.